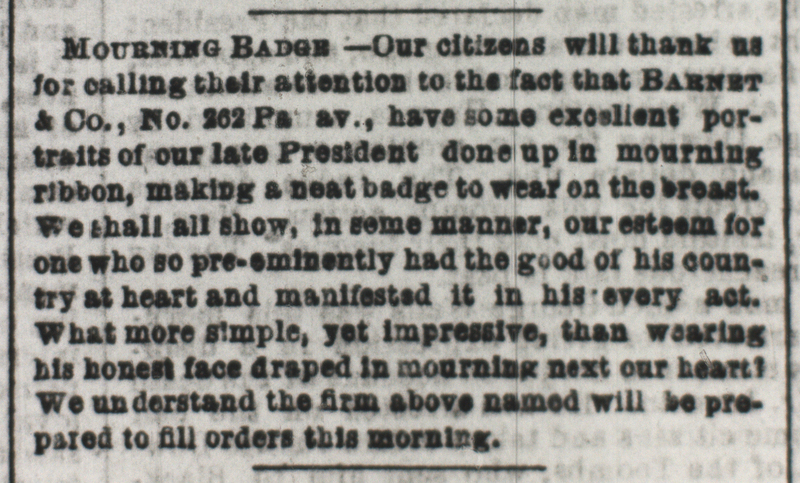 Excerpt from the Daily Morning Chronicle stating that Barnet & Co., located at 262 Pennsylvania Avenue, are selling mourning badges which feature the face of President Abraham Lincoln. 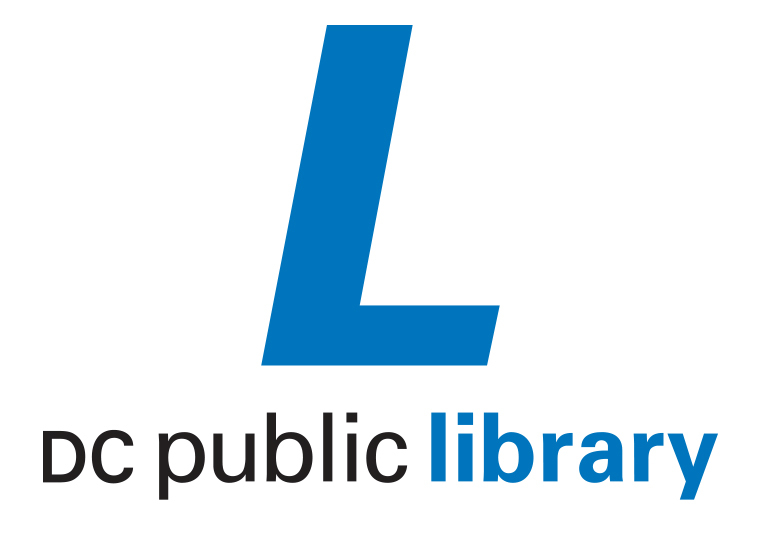 Mourning badge - Our citizens will thank us for calling their attention to the fact that Barnet & Co., No. 262 Pa. Av., have some excellent portraits of our late President done up in mourning ribbon, making a neat badge to wear on the breast. We shall all show, in some manner, our esteem for one who so pre-eminently had the good of his country at heart and manifested it in his every act. What more simple, yet impressive, than wearing his honest face draped in mourning next our heart? We understand the firm above named will be prepared to fill orders this morning.